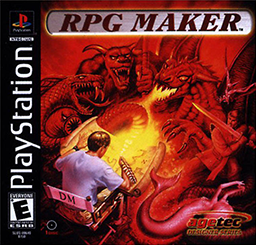 RPG Maker was a Playstation 1 game that gave players the opportunity to create their own Role-Playing-Games. 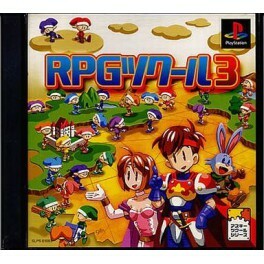 It was also the third entry in Japan, RPG Tsukuru 3. When it was localized for the United States and released as “RPG Maker”, a feature was seemingly missing: the ability to import custom music into your RPG. The reason for this was because Ongkau Tsukuru 2 - a music creation game for the PlayStation - was never localized for the United States. RPG Maker lets you draw and import sprites into your RPG with the in-game tool Anime Maker, but the Japanese version also has an exclusive menu for importing music made with Ongaku Tsukuru 2. 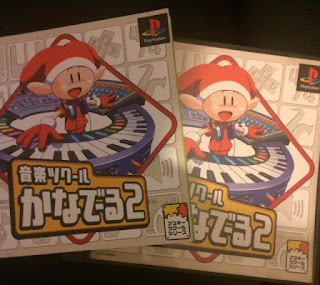 As far as I know, Ongaku Tsukuru 2 can’t be emulated because an ISO of it doesn’t exist on the internet. So I ordered a physical copy and obtained a copy of RPG Tsukuru 3 to see if RPG Maker really did lose a neat feature. It worked. Below is a video I quickly put together featuring a sample song from Ongaku Tsukuru 2 that I imported into RPG Tsukuru 3. It was pretty easy to do. I saved the track onto a Playstation memory card, converted it using one of the in-game menus, and loaded the track from the memory card in Tsukuru 3.